Throughout LFC's 125th anniversary year, Liverpoolfc.com will retrace the club's history through the striking images that plot a fascinating journey. Third in the series is a photograph of five of the original members of Anfield's fabled Boot Room. Taken after Bill Shankly's appointment in December 1959, this iconic shot shows Liverpool's new boss alongside his trusted lieutenants - a group who would oversee the club's transformation from Second Division mediocrity to global footballing powerhouse. 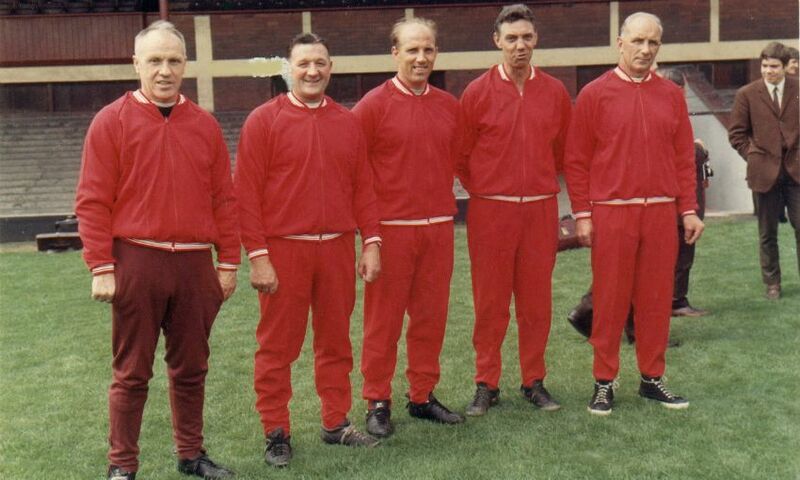 Bob Paisley, Ronnie Moran, Joe Fagan, Reuben Bennett and Tom Saunders (not pictured) were the men Shankly selected to help him, in his own words, 'build Liverpool into a bastion of invincibility' following his arrival from Huddersfield Town. The pursuit of this lofty ambition was orchestrated largely from the Boot Room; a small, no-frills space near Anfield's changing facilities that became, at Shankly's behest, the nerve centre of his coaching operations. The Scot and his team would spend hour upon hour in the Boot Room, plotting and planning their way to glory. Tactics and transfers were pored over while endless cups of tea were drunk. After nearly 40 years of being a somewhat unspectacular sporting HQ throughout decades of unparalleled success, the Boot Room was demolished in 1993 as Anfield was renovated and modernised. The image above shows the founding fathers of one of Liverpool Football Club's unique traditions.